November 1831. 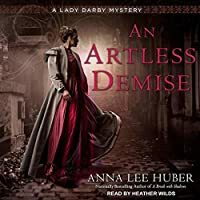 After fleeing London in infamy more than two years prior, Lady Kiera Darby’s return to the city is anything but mundane, though not for the reasons she expected. A gang of body snatchers is arrested on suspicion of imitating the notorious misdeeds of Edinburgh criminals, Burke and Hare—killing people from the streets and selling their bodies to medical schoo November 1831. 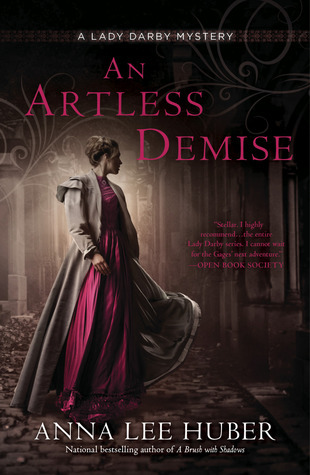 After fleeing London in infamy more than two years prior, Lady Kiera Darby’s return to the city is anything but mundane, though not for the reasons she expected. A gang of body snatchers is arrested on suspicion of imitating the notorious misdeeds of Edinburgh criminals, Burke and Hare—killing people from the streets and selling their bodies to medical schools. Then Kiera’s past—a past she thought she’d finally made peace with—rises up to haunt her. In this seventh case in the Lady Darby mysteries, Gage and Keira are in London. London is quite unsettled. The Reform Bill which would readjust districts for the House of Commons and give votes to more men has failed twice. When a body is discovered at one of the medical schools and is clearly a victim of murder, fears that have only just subsided after the Burke and Hare case are reignited. It also brings Keira's past back into the foreground. She's the widow of a noted anatomist who forced her In this seventh case in the Lady Darby mysteries, Gage and Keira are in London. London is quite unsettled. The Reform Bill which would readjust districts for the House of Commons and give votes to more men has failed twice. When a body is discovered at one of the medical schools and is clearly a victim of murder, fears that have only just subsided after the Burke and Hare case are reignited. It also brings Keira's past back into the foreground. She's the widow of a noted anatomist who forced her to draw his dissections. But when he died of an apoplexy, a jealous rival painted Keira as complicit in her husband's work and his hiring of ressurectionists to supply the bodies he dissected. Keira's reputation was ruined and she is only just rebuilding her reputation. Gage and his valet Anderley become deeply involved in trying to identify the most recent victim of these "burkers." It is pretty clear that the victim is one of the Italian Boys - a group of young men who are beggars in London and other large English cities. In the course of trying to identify the young man, it becomes clear that there are many missing persons in London. Men, women and children have been disappearing for quite a while. This raises the public's fears that they are disappearing to provide cadavers for the medical schools. Things come quite a bit closer to home when Keira and Gage discover the body of Lord Feckenham, the heir of one of their recent hosts. Gage is hired to find out who killed him. In the course of their investigation, it becomes clear that the list of possible murders is quite large. Feckenham was a brute, a bully, and a complete reprobate. His parents even have to keep his sisters out of his orbit. His brother Penrose looks like a good suspect except for his alibi. Penrose is a much better person than his brother and was his brother's victim on many occasions. He also has secrets to protect. The investigation gets more complicated when a second victim is found. David Newbury is also from the upper class. His sister is being courted by Keira's brother. He is also completely different than Lord Feckenham. He's honorable, pleasant and charitable. Keira and Gage spend a lot of time trying to find some connection between the two men. Their investigation is interrupted when Keira receives a blackmail threat which says that the blackmailers will indicate to the newspapers that she was deeply involved with the resurrectionists along with her first husband. Keira is frightened that this lie will hurt the ones the she loves including her new husband and her unborn baby. Adding to the threat is news that the man who inherited her first husband's papers is getting ready to publish them which will expose the years of abuse she suffered and make it so that the scandal will never die down. This was an excellent addition to this well-written and intriguing historical mystery series. I liked watching the relationship between Gage and Keira grow. I liked the way Keira is growing too and becoming more assertive when she faces Society.